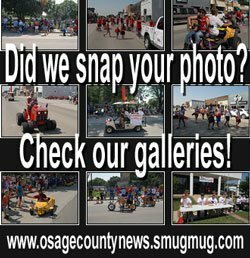 The following information was compiled from records at the Osage County Courthouse June 26 through June 30, 2017. Osage County Sheriff to Lyndon State Bank. 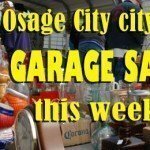 Lots 14, 16 and E 1/2 Lot 18, Block 12, Wetherell’s Additon, Osage City. Osage County Sheriff to US Bank. W 90’ E 250’ Block 3, Original Osage City. Nicholas P. Trejo and Viki F. Trajo to Julie Ann Banaka. NW corner Block 26, Carbondale. Julie Ann Banaka and Zane Shook to Wells Fargo Bank. NW corner Block 26, Carbondale. Lighthouse Investments LLC to Kevin F. Holthaus. Tract SE 1/4 33-17-14. JoAnn Good to Rob D. Benge and LuAnn Harris. Tract NE 1/4 18-14-16. Lester T. Gellhaus and Vicki S. Gellhaus to Brandon Scott Reynolds and Casey Jo Faith Reynolds. Lot 14, Block 5, Elliott Height’s Second Addition, Lyndon. Quinten Lyons and Casey Lyons to Dana Wilson and Brady Dilda. Lot 3, S 1/2 Lot 2 and N 1/2 vacated alley, Block 39, Original Lyndon. 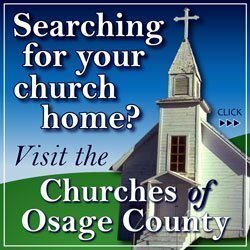 Osage County Sheriff to Coffey County Land Company LLC. Tracts NW 1/4, NE 1/4 and SW 1/4 24-18-15. Bank of America to David M. Katt and Joann C. Katt. Lot 12, Block A, Tucker Subdivision “A”, Carbondale. Elizabeth A. White and Elliot Nickell to Galen L. Boyd and Betty L. Boyd. Tract NW 1/4 1-18-14. Raymond and Mary Lou Hovestadt to Colby Series 17 LLC. E 1/2½ Lot 13 and all Lots 14-16, Block 35, Original Burlingame. Josiah J. King and Queren J. King-Orozco to Trevor J. Anderson and Stephanie A. Anderson. Lot 9, exc. E 20’ and E 10’ Lot 8, Block 37, Osage Carbon Company’s Second Addition, Osage City. Ronald W. Elder and Diana L. Elder to Josiah King and Queren J. King-Orozco. NW 1/4 29-15-14. Kimberly Jo Miner to Lillian Henslee. Tract NW 1/4 6-17-16. John Ingram to Sandra Moore. W 1/2 Lots 87 and 89 and S 1/2 Lot 85, Fifth Street, Vaughn’s First Addition, Quenemo. Lynette L. Biehler to Henry H. Hall and Melissa K. Hall. Lots 64 and 65, Sail-A-Way Estates North. Nolan R. McIver and Tina M. McIver to Shane Young and Debra A. Young. N 65’ Lot 1 and all Lot 2, Final Plat McIver Estates.